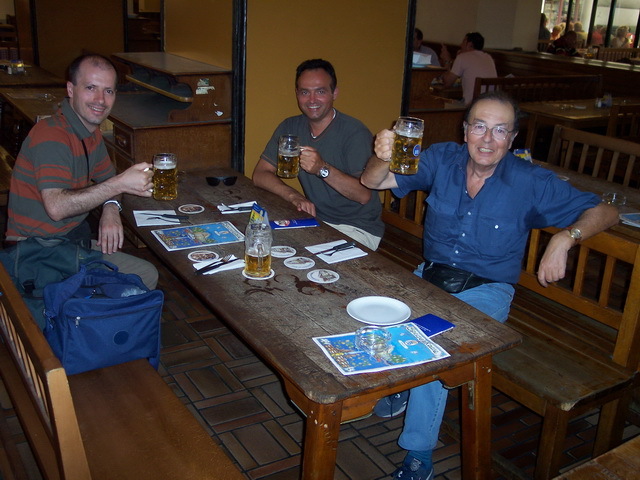 Drinking a good beer at the HB Brauerei in Munchen. 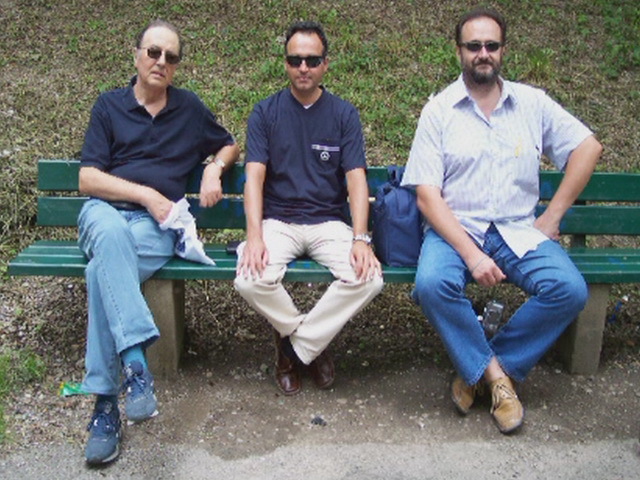 Resting on a park bench in Munchen. 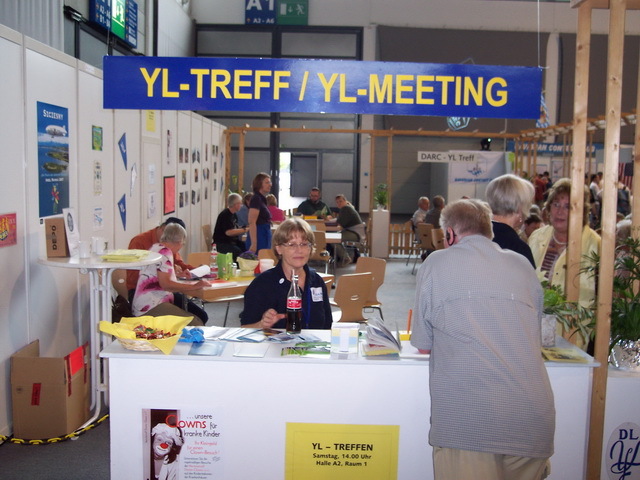 The Young Lady's booth inside the fair. The Y.L.R.C.I. 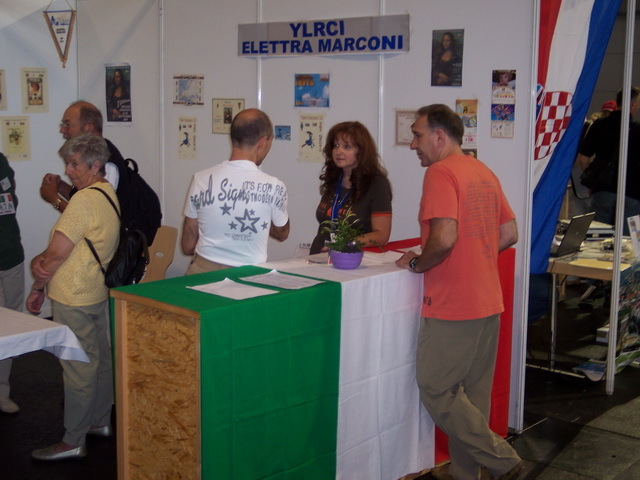 booth, the rightmost YL in the picture is Manuela, IZ2ELV.